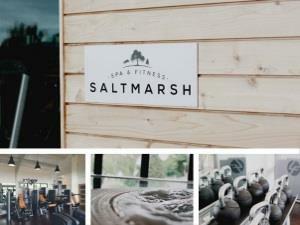 Membership at Saltmarsh Spa and Fitness includes a free induction with a fully qualified personal trainer and a personalised work out plan. Members have full use of our state of the art Life Fitness cardio and strength equipment, and access to our relaxing spa facilities including our aromatherapy steam room and hot tub. Our brand new gym and spa has beautiful views of the field and river and is fully air conditioned. On-site parking, free access to wi-fi, toilets, showers, changing rooms and lockable storage are also available to members. Our site also features 3 treatment rooms offering a range of beauty therapies and massage, and a popular cafe serving food and drink.